If you or a family member is elderly or has limited mobility, showering can be a challenging task. However, you don't have to worry about slipping and getting injured with a walk-in tub from Norway Built. If you want to install a safety tub in your home, call us today at 1-844-387-6938 or click below to get a free estimate! 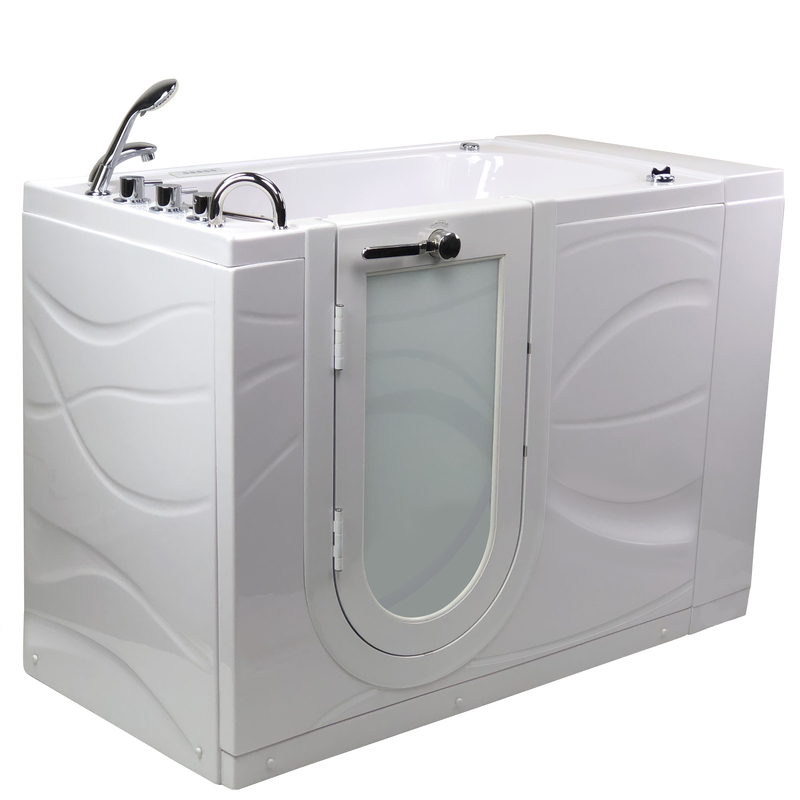 We install accessible tubs in Plainfield, Naperville, Downers Grove and throughout Chicago Suburbs. We also offer several different styles of tubs, ensuring that you will get the right fit for your needs and won't have to sacrifice appearance. When you choose a walk-in tub from Norway Built, you can be sure you are getting a quality tub that will allow you to preserve your independence. 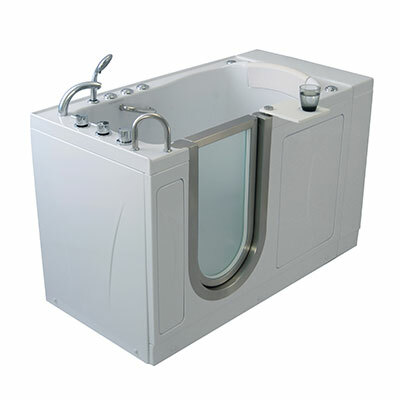 Through innovative research, listening to customers and expert development, Ella's Bubbles have produced walk-in bathtubs that are the picture of ingenuity, healing and support, ensuring each of their products provides comfort, looks modern and incorporates custom safety and design features like stainless steel and tempered glass doors, a three latch outward door system, MicroBubble Therapy, patented swivel trays, independently operated therapeutic foot massage, dual drain technology and more. Our tubs also come in an array of widths, lengths and capabilities that can accommodate your bathroom's space and your specialized needs. Inward Swinging Door: With a glossily finished acrylic shell and a custom-designed, brushed stainless steel, tempered glass door, this tub will enhance your bathroom. All of our Ella's Bubbles bathtubs with inward swinging doors have customizable features that allow you to control your bathtub experience, feel and design. Outward Swinging Door: The outward swinging door bathtub is perfect for those with who require maximum accessibility. Whether you need a wheelchair accessible transfer bathtub or a standard dimension walk-in tub, we can supply you with a tub that will compliment your space and your individual needs. Each of our outward swinging door tubs has promised durability, safety and comfort with a fiberglass-reinforced shell and a stainless steel frame. Two-Seat Walk-In Tub: Ella's bubbles offers several models with a two-seater option, perfect for couples to enjoy a soothing bath together. 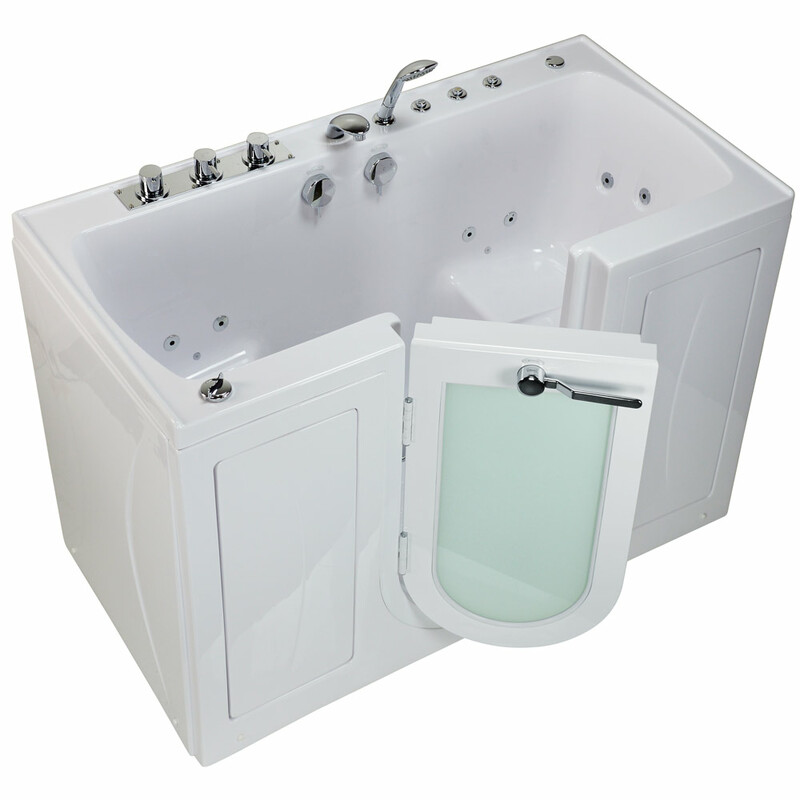 All our two-seater tubs come with a center door and a center drain to allow for extra seating. Choose from our current array two-seater bathtubs, like the Companion, the Tub4Two and the Big4Two, one of the largest tubs on the market. Infusion™ MicroBubbles: The Infusion™ MicroBubbles feature offers a tranquil bathing experience. As you are surrounded by warm pressurized infused water with billions of micro-sized, oxygen-rich bubbles, your muscles will release tension, all while sterilizing, exfoliating and moisturizing your skin, leaving you psychologically invigorated, all with a simple, effortless air switch. If you've had struggles with using your bathtub in the past or have a family member who needs added safety, Norway Built is here to help. We will work with you to find the right accessible tub for your needs, ensuring that your bathroom is safe and comfortable. We offer free estimates on all our bathroom remodeling services, so call us today to get started. We proudly serve in Downers Grove, Naperville, Plainfield, Schaumburg, Elgin, Aurora, Wheaton, Saint Charles, Hoffman Estates, Bolingbrook and throughout the surrounding areas.